Canon committed to more Cine lenses. 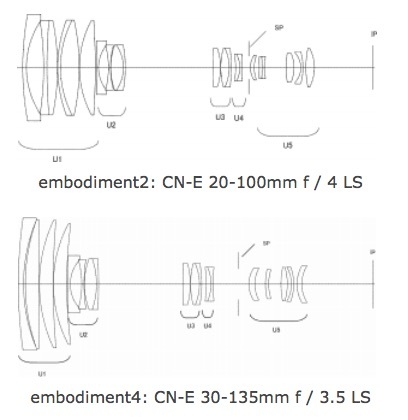 Egami (translated) spotted a patent for a CN-E 20-100mm f/4 and a CN-E 30-135mm f/3.5 lens. 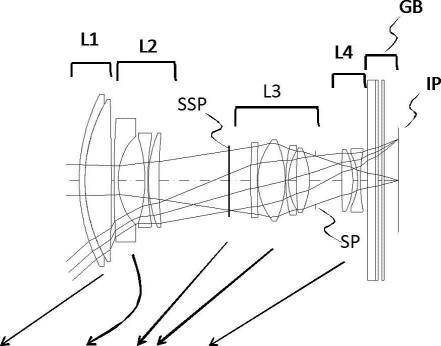 According to the invention, it is possible to appropriately define the refractive power arrangement and the lateral magnification of the zoom sharing ratio and the lens groups of zooming group, while reducing the size and weight and a high zoom ratio , it is possible to decrease the magnification ratio of a short-distance shooting is to achieve the image pickup apparatus having a zoom lens and it is suppressed.